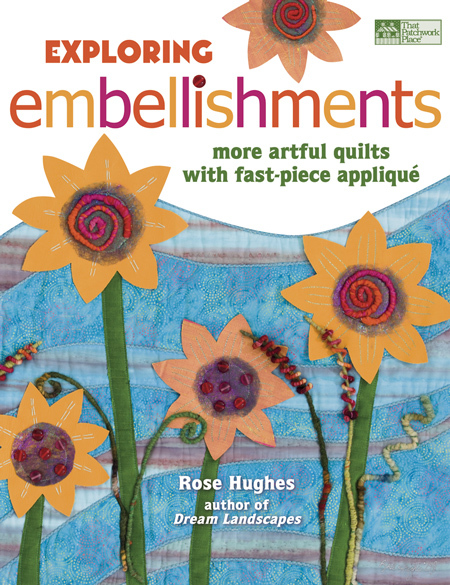 The winner of the drawing for Exploring Embellishments is… Lori Ginsberg! Congratulations Lori! 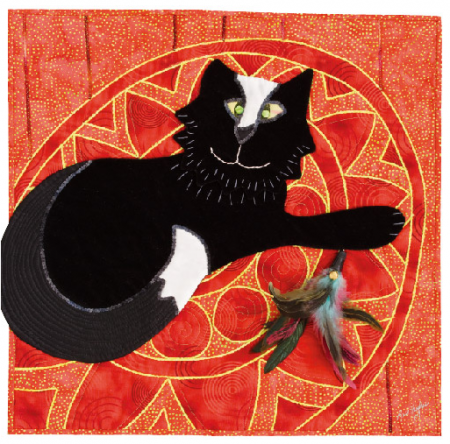 In her comments, Lori wrote, “I am fascinated by the idea of embellishing applique. Just another whole dimension to this wonderful artform.” I agree! I’d like to take this opportunity to announce another exciting thing coming up. Hey guess what! I’m a cover girl! 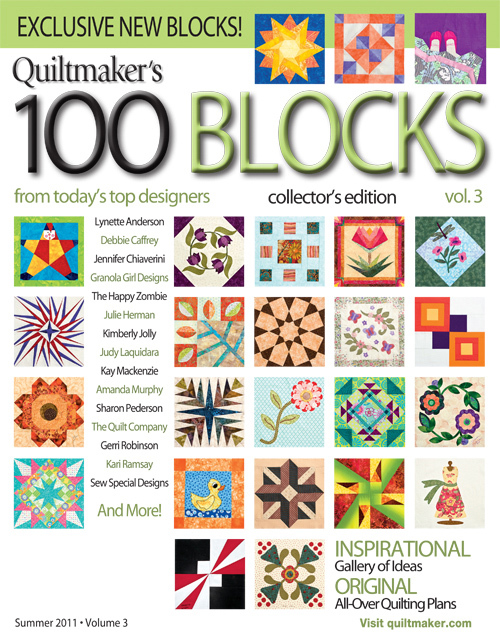 This is Volume 3 of Quiltmaker Magazine’s special 100 Blocks issue, coming out May 10. Lookie! My name’s right there, on the cover! Could this mean… possibly… that I’ve arrived? And, my block is on the cover too! Can you guess which one it is? 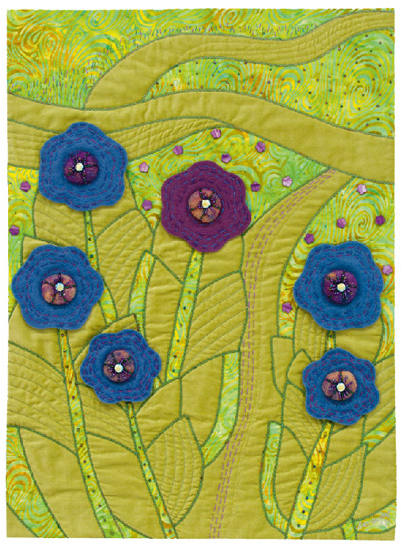 Quiltmaker is conducting a blog hop May 2-6, with bunches of participating designers and giveaway goodness each day. My day is May 5, but make sure you go on the whole tour for the maximum amount of fun. 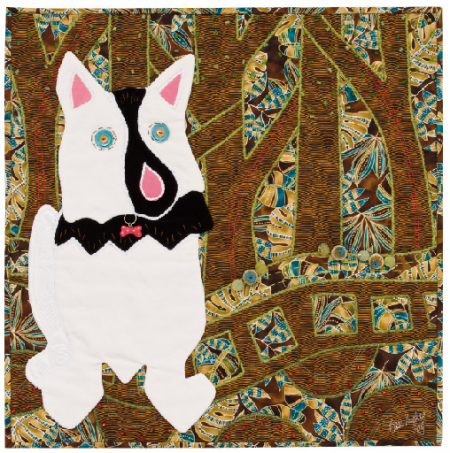 Here’s a link to the 100 Blocks page over at Quiltmaker. That’ll get you to the links for the hop. 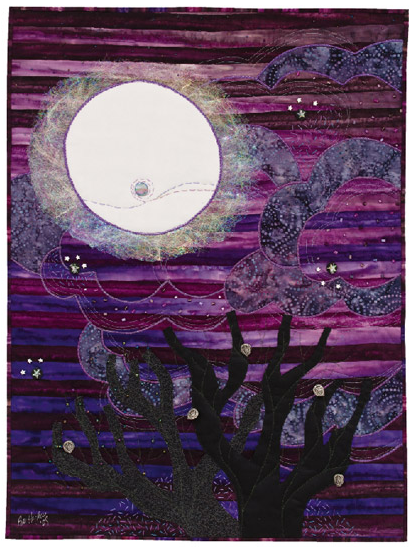 In other news, I’ll be at the Seven Sisters Quilt Show in San Luis Obispo, California, April 30-May 1. I’m really looking forward to this event. It’s at the Expo Center at the Madonna Inn, which is quite storied and is as pink as pink can be. And there are horses pastured where we vendors park our cars! That’s an added treat for me. Full info at aqgc.org. Our Book-A-Round 2 was a blast and a half! 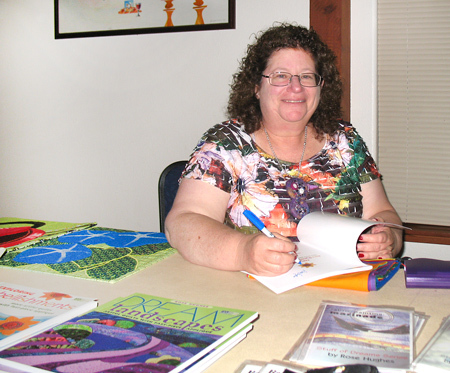 I’d like to thank my fellow quilting bloggers who served as stops on our virtual tour. They made it a totally fun-filled zoom around North America! Here are the winners from the daily drawings for Inspired by Tradition, including Pat Sloan’s winners. My deepest appreciation to everyone who followed the tour, took part in the contests, and left such lovely comments. You made my day, each and every day. I wish everyone could have won! I wanted to let you know that I’ve extended the $2 off coupon through April 15, 2011. Just use the coupon code BLOG2 during checkout from my website. 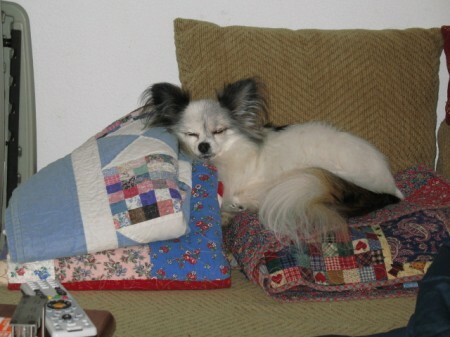 Willie's resting up from the tour.